Venezuela’s controversial state-owned cryptocurrency the Petro is now available for purchase for fiat and crypto, Venezuelan Economy Department announced on Twitter Monday, Oct. 29. According to an infographic included in the tweet, Petro can now be purchased directly from the country’s treasury via the coin’s official website or from six crypto exchanges authorized by the government. The state-issued coin can be purchased for fiat, specified in the graphic as yuan, Euro and U.S. dollars, or for certain cryptocurrencies, by legal entities and individuals who have registered and passed a validation process on the coin’s official site. According to Petro’s official Twitter, which has evidently been suspended as of press time, the coin can be purchased with Bitcoin (BTC), Litecoin (LTC), Ethereum (ETH) and Dash (DASH). However, the National Cryptocurrency Association reports the Petro is currently only available for BTC and LTC, among cryptocurrencies. 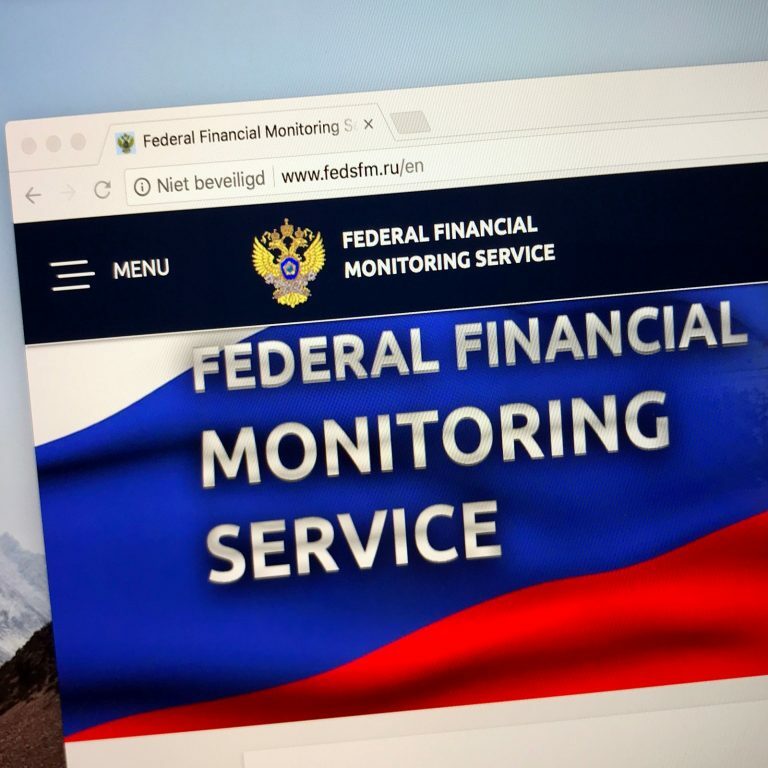 The government has also assigned a superintendent of cryptoassets and related activities, Joselit Ramirez, who is reportedly responsible for handling Petro’s customer service issues. The six crypto exchanges — Bancar, Afx Trade, Cave Blockchain, Amberes Coin, Cryptia, and Criptolago — have been authorized by the Venezuelan government to trade the coin as of Oct. 16. As of press-time, none of the exchanges is listed among the top-100 crypto exchanges on CoinMarketCap. 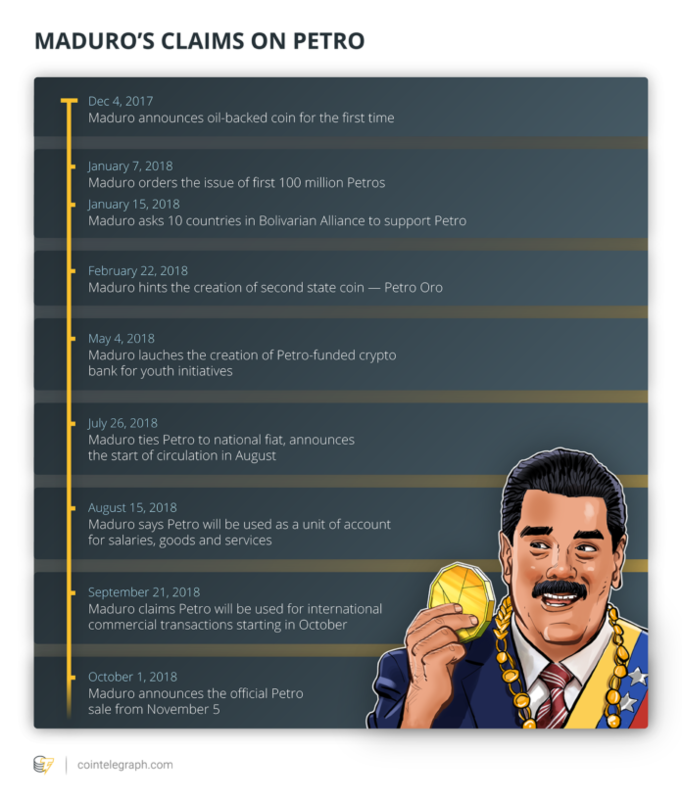 Earlier this month, Venezuela’s president Nicolas Maduro had announced the official date for the start of Petro’s public sale would be November 5 — almost eleven months after he first hinted at the possibility of state-backed cryptocurrency. At the time, Maduro revealed that the Petro would be traded on six authorized crypto exchanges, though he refrained from naming them. In addition, the Petro wallet was launched the same day on Google Play, but has since been deleted.